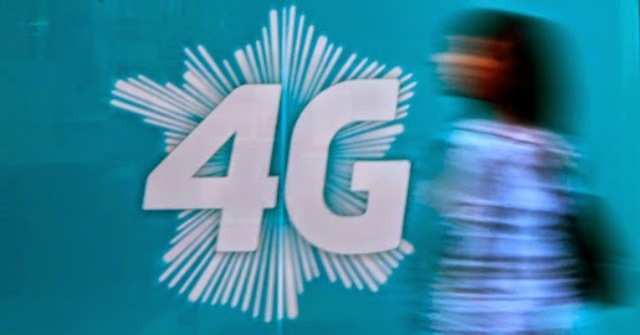 NEW DELHI: Nearly 45% of Indians are expected to subscribe high-speed fourth-generation (4G) or LTE services in the next 12 months, a recent study revealed. The 4G adoption is expected to grow strongly over the next year to become the predominant data network, New York-based advisory firm Deloitte in a statement Wednesday said. As many as 45% of those surveyed indicate that they would subscribe to 4G in a year, the finding suggested, adding that as many as 59% people use mobile to connect to the Internet. The reliance on Wi-Fi networks has been reduced considerably due to higher penetration of mobile data among smartphone owners, according to Deloitte. The report represents the mobile usage patterns of more than 2,000 consumers in the country’s eight urban cities that have Internet access. 59% of the respondents, according to the research, said they were using mobile network to connect to the Internet while 74% use Instant Messaging, 64% social networks and 63% e-mail. There has been an increasing tilt towards electronics purchase online as 53% of Indians buy smartphones via e-commerce portals while 39% individuals purchase it through physical stores. The US consulting firm also said that the penetration of smartphones has surpassed laptops with the interest of people in buying tablets has softened as compared to previous two years. “With the higher penetration of mobile date, especially 3G and 4G, there has been a noticeable change in the way consumers are connecting to Internet now. 59% of the respondents said they were using the mobile network to connect to the Internet,” Neeraj Jain, Partner, Deloitte Touche Tohmatsu India LLP said. “With the Internet becoming cheaper and higher mobile data penetration, consumers are becoming extremely data hungry. Thus, usage of smartphone is only expected to grow from here onwards,” Jain added. Jain, however also said that in the post-demonetization era, where people expected to rely more on digital platforms for commercial transactions, it is observed that more individuals upgrading from feature phones to smartphones in future.